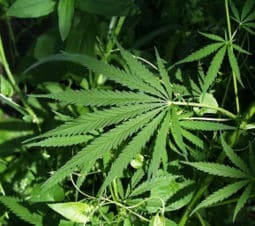 If everyone substituted marijuana for alcohol, society would be a better place | Jon Katz, P.C. Imagine if everyone drinking alcohol tonight switched to puffing marijuana, nibbling a hash brownie, or downing a marijuana smoothie. As a result, fewer people would beat the sh*t out of others, fewer would act like raving lunatics, fewer would be heaving chunks, and some people would be receiving medicine superior to many of the pills and injectables peddled by Pharmaceutical, Inc. (Do not drive under the influence of anything, and marijuana can be a wonderful sleep aid at home to not even need to consider getting behind the wheel.) Alcohol can be nice in moderation, but too many people overindulge and overdamage with alcohol as a result. Moreover, alcoholism is rampant and tough to beat, but not marijuana-ism. if it even existed. Therefore, all the power to Michael Phelps for having been photographed smoking from a bong rather than from a liquor or beer glass or bottle, aside from the activity apparently having been in a state where it is illegal to do so. On the White House front, thanks to Barack Obama for having previously stated his disinclination — NORML calls it a pledge — to waste federal resources to interfere with medical marijuana activities in states that permit doctors to prescribe marijuana as medicine. With the February 2, 2009, Drug Enforcement Administration raids on Los Angeles medical marijuana dispensaries (Drew Carey introduces us to this wonderful Los Angeles dispensary), Obama has the opportunity to make good on that stance by ordering the immediate return of property seized from the dispensaries, cancelling any criminal investigations or actions involving the dispensaries, banning any further such raids, and immediately replacing George W. Bush’s appointees responsible for the raids with appointees who will stay out of the hair of states that permit medical marijuana.